Earn $11.59 in VIP credit (1159 points)What's This? The SK-3 Home Mechanic Starter Kit is a starter toolkit for do-it-yourself bike maintenance and repair. 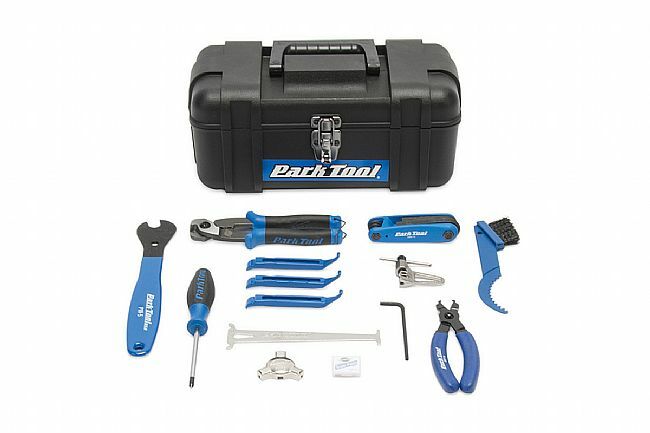 It includes a toolbox and a well-rounded set of tools including a Torx compatible “L” wrench, a pedal wrench, master link pliers, a cable and houser cutter, and a chain checker, among others.